Researchers are divided on how long it takes someone to form a first impression — some say a minute, some say seven seconds, and one slightly terrifying study puts it at just one-tenth of a single second. It’s not a lot of time, is the point. But still, we often feel compelled to hide our quirks until way, way after those impressions have formed — keeping our shower-singing habit under wraps as the new roommate gets settled, for example, or letting a few dates go by before we bring out the photos of our cat wearing people-clothes. 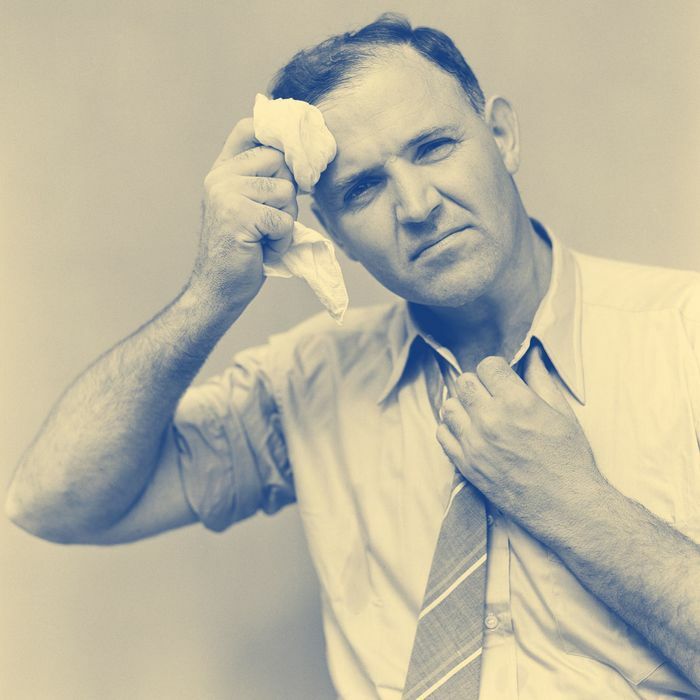 For some people, of course, this will never be an issue — the politics of workplace air-conditioning remain controversial, but no matter what temperature a space is kept, it doesn’t eliminate the fact that 70 degrees may feel chilly for one person and sweltering for another. In the Washington Post yesterday, science writers Rachel Feltman and Sarah Kaplan explained why a single temperature can be perceived in so many ways. The feeling of cold or hot happens in the skin; it’s your body’s way of keeping your core temperature the same even when your environment changes. When it’s chilly, blood vessels in the skin and extremities constrict to keep heat concentrated around the tissue underneath, which is why your hands and feet usually feel cold first. When you’re hot, the opposite happens. Ambient temperature is far from the only thing that influences this process. Our perception of cold is the product of numerous factors both inside and outside our bodies — many of them beyond our control. A person’s ability to retain heat is influenced by size, gender and metabolic rate. Women chill more easily than men — they have lower resting metabolic rates, and their higher levels of estrogen amplify their blood vessels’ response to cold. Having more subcutaneous fat can also help keep a person’s body warm. These factors don’t influence how you perceive indoor and outdoor temperatures, but if you often feel warmer or colder than those around you, they may explain why. For those who often feel colder, though, bundling up may sometimes be a less viable option than just powering through. “We … are frequently chilly ourselves. We’ve even contemplated purchasing a Snuggie or two to wear at work,” they wrote. “Although in the interest of our sense of dignity, we’ll probably refrain.” I won’t say that doesn’t sting a little bit, but it seems fair enough.